On 01 Jul 2016 Central African Republic population was estimated as 4998493 people. On 01 Jul 2017 Central African Republic population will be 5096712 people. It’s +1.95% (98219 people) compared with the population of Central African Republic on 01 Jul 2016. These data (statistics and projection) are based on information from the United Nations and Census on the assessment and forecasting of the Central African Republic population. Central African Republic population clock counts based on the current number of the above values at time UTC (the date and time specified above). 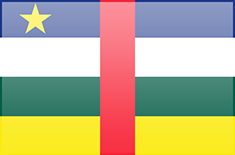 We recommend to visit new site about Central-african-republic population with clock, pyramid, charts and many usefull info.